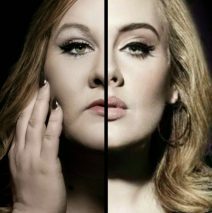 Home » Articles » Andrea Tyler as Adele! Tickets sold out for 5-17-19! Inquire about being put on the list for cancellations or the next “Adele” show! Andrea is back! She was on tour in Alaska for the summer and traveling with her Adele Experience but she is landing at The Windsor Rose on Friday evening, May 17, 2019 for our dinner event. If you have not seen Andrea you are in for a real treat! She can sing it all; a throaty lounge jazz song, the Star Spangled Banner, and everything in between–but we love when she impersonates Adele! CALL THE WINDSOR FOR TICKETS! WE TAKE ALL CREDIT CARDS IN ADVANCE OVER THE PHONE, OR YOU MAY WALK IN AND PAY CASH. ALL TICKETS ARE $45.00 PER PERSON. It is easy, all you need to do is RESERVE EARLY, because she does sell out! All dinners include entertainment, appetizer, entrée, soft drinks, tea and coffee, and dessert. The dinner price does not include: 7% sales tax, 20% gratuity, or alcoholic beverages, as these will be added to your evening check at the end of the evening. Our Pot Roast with a rich brown gravy served with potatoes au gratin. Stuffed Chicken with herbs ricotta, mozzarella, apricot and spinach drizzled with a white wine sauce. Scottish Salmon Scottish salmon marinated in Grand Marnier served on a bed of a risotto cake or with potatoes au gratin. Pan seared Pork Chop served with apple chutney with your choice of either potatoes au gratin or a rissotto cake. All entrees will come with sauteed baby carrots, and snow peas in a white wine garlic sauce and dinner rolls. All dinner packages will be $45.00 per person. Your reservation is not confirmed unless it is fully pre-paid. Sorry, no refunds, but in the event that an issue arises and you are not able to come to the show you will be given a gift certificate for the Windsor with the amount that you paid in advance. If you missed getting tickets to this show, please call to be put on “the cancellation list”, or on the next available show.